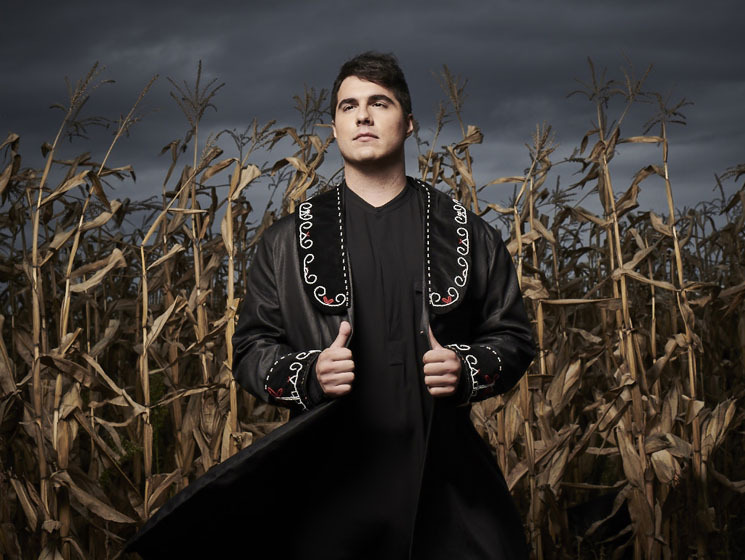 Jeremy Dutcher has won the 2018 Polaris Music Prize for his album Wolastoqiyik Lintuwakonawa. After whittling down the long list to the short list, the award itself was handed out this evening at a gala event at the Carlu in Toronto. In addition to bragging rights, Dutcher has won $50,000 in prize money. Each of the nine runners-up received $3,000. His win was announced by last year's recipient of the award, Lido Pimienta. During his acceptance speech, Dutcher declared that an "Indigenous Renaissance" is taking place in Canada. Watch his full speech below. As previously reported, nominees Dutcher, Jean-Michel Blais, Hubert Lenoir, Pierre Kwenders, Partner, Snotty Nose Rez Kids, U.S. Girls and Weaves performed at the ceremony. The winner was decided by a grand jury made up of by Matt Carter (Grid City Magazine), J.D. Considine (freelance), Jill Krajewski (Noisey/VICE), Erin Lowers (Exclaim! ), Dustin Riel McGladrey (Aboriginal Multi-Media Society of Alberta/CFWE FM), Marie Mello (freelance), Marc-André Mongrain (Sors-tu.ca / Radio-Canada), Anubha Momin (freelance), Josh O'Kane (Globe and Mail), Rosina Riccardo (CJAM) and Kate Wilson (Georgia Straight). They 11-person grand jury voted for the best Canadian album of the year "solely on artistic merit, without consideration of genre or record sales." Read Exclaim! 's recent interview with Dutcher here.